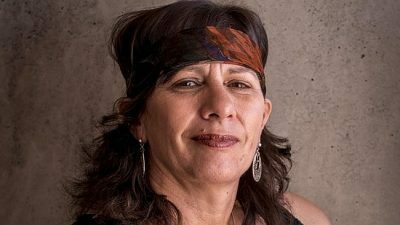 Poet Ali Cobby Eckermann is one of eight winners of the 2017 Windham-Campbell Prize, which recognises English-language writers who ‘have left their mark on the world of literature or theatre’ and comes with a cash prize of US$165,000 (A$215,490) for each winner. Eckermann is cited for her poetry, including her debut collection Little Bit Long Time (Picaro) and her 2015 collection Inside My Mother (Giramondo), an ‘emotional timeline’ of the Stolen Generations, of which Eckermann is a member. Eckermann’s other works include the memoir Too Afraid to Cry (Ilura) and the verse novels His Father’s Eyes (OUP) and Ruby Moonlight (Magabala). Eckermann has also edited a special issue of Southerly on Aboriginal writing, and is the founder of the Aboriginal Writers’ Retreat, the first writing retreat for Indigenous authors in Australia. Eckermann told the Guardian Australia that winning the prize will change her life ‘completely’. ‘I’ve been so grateful for the recognition of my work so far, and could never have foreseen something of this magnitude,’ she said. New Zealand writer Ashleigh Young was one of the two winners citied for their nonfiction. Young’s nonfiction book Can You Tolerate This? (Victoria University Press) is a collection of 21 personal essays that ‘tells the story of a girl growing up in a small New Zealand town and making her way as an adult into the wider world’. Young is also the author of the poetry collection Magnificent Moon (Victoria University Press) and an editor at Victoria University Press. The Windham-Campbell Prize, administered by the Beinecke Rare Book & Manuscript Library at Yale, is judged anonymously and has no submission process. The prize was established in 2013 with a gift from writer Donald Windham in memory of his partner Sandy M Campbell. As previously reported by Books+Publishing, Helen Garner was one of nine winners of the prize in 2016 for her nonfiction work.